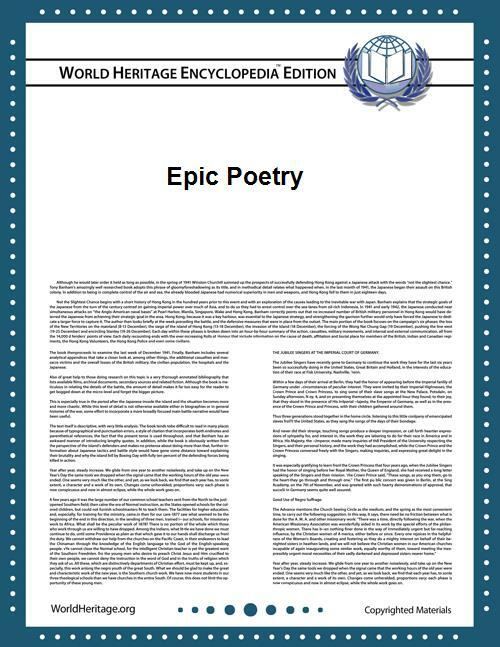 An epic (from the Ancient Greek adjective ἐπικός (epikos), from ἔπος (epos) "word, story, poem") is a lengthy narrative poem, ordinarily concerning a serious subject containing details of heroic deeds and events significant to a culture or nation. Milman Parry and Albert Lord have argued that the Homeric epics, the earliest works of Western literature, were fundamentally an oral poetic form. These works form the basis of the epic genre in Western literature. 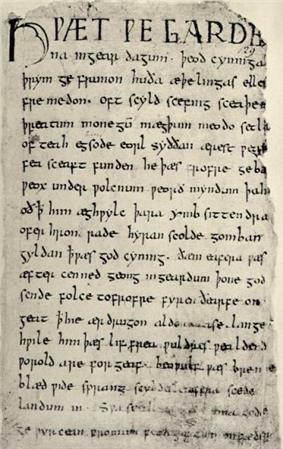 Nearly all Western epic (including Virgil's Aeneid and Dante's Divine Comedy) self-consciously presents itself as a continuation of the tradition begun by these poems. Classical epic employs dactylic hexameter and recounts a journey, either physical (as typified by Odysseus in the Odyssey) or mental (as typified by Achilles in the Iliad) or both. Epics also tend to highlight cultural norms and to define or call into question cultural values, particularly as they pertain to heroism. Some of the most famous examples of epic poetry include the ancient Indian Ramayana and Mahabharata, the Ancient Greek Iliad and the Odyssey, Virgil's Aeneid, Dante's Divine Comedy, John Milton's Paradise Lost, and the Portuguese Lusiads. Praepositio: Opens by stating the theme or cause of the epic. This may take the form of a purpose (as in Milton, who proposed "to justify the ways of God to men"); of a question (as in the Iliad, which Homer initiates by asking a Muse to sing of Achilles' anger); or of a situation (as in the Song of Roland, with Charlemagne in Spain). Invocation: Writer invokes a Muse, one of the nine daughters of Zeus. The poet prays to the Muses to provide him with divine inspiration to tell the story of a great hero. (This convention is restricted to cultures influenced by European Classical culture. 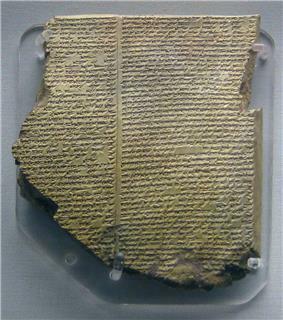 The Epic of Gilgamesh, for example, or the Bhagavata Purana do not contain this element). Epithet: Heavy use of repetition or stock phrases: e.g., Homer's "rosy-fingered dawn" and "wine-dark sea." The dates of origin of these Indian epics are hard to determine, as they existed for a long time in history as oral traditions with numerous versions and also in different regions of India and South Asia. Moremi, a part of the Yoruba corpus of divine traditions. It is commonly considered to be a continuation of the story of Oduduwa, the protagonist's father-in-law. Oduduwa, a part of the Yoruba corpus of divine traditions. Although the period that the dynastic section of the corpus describes is commonly believed to be the 11th century, its divine section deals with the origin of the world itself, and the holy Yoruba city of Ile-Ife is known to be an ancient settlement that dates to a time long before the birth of Christ. Due to this being the case, it may well be safe to assume that the earliest aspects of the corpus are from the ancient era. Oranyan, a part of the Yoruba corpus of divine traditions. It is commonly considered to be a continuation of the story of Oduduwa, the protagonist's father. Iliad and Odyssey in iambic rhyming couplets: the Iliad in iambic heptameter, and the Odyssey in iambic pentameter. Empire of Dreams by Giannina Braschi (1988 in Spanish; 1994 in English). ^ Taken from William Harmon and C. Hugh Holman, A Handbook to Literature, 8th ed., Prentice Hall, 1999. ^ According to that article, world folk epics are those that are not just literary masterpieces, but also an integral part of the world view of a people, originally oral, later written down by one or several authors.